Maryline loves cooking and baking as well as preserving homegrown foods. Here we share some of Upper Cefn-Y-Pwll’s favourite recipes. At this time of year, early Autumn, the hedgerows along the lanes where we live are abundant with berries. As the blackberries come to an end, the rosehips, haws and sloes are ripening. We also have a few elder trees in the garden so elderberries are plentiful too. 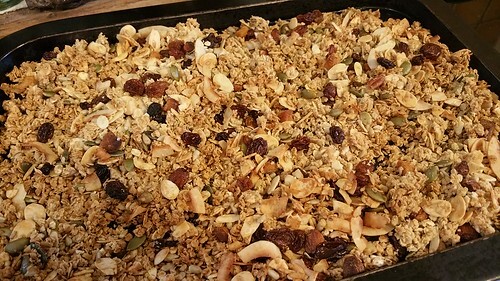 You can't beat homemade granola! I make it in batches that fill a large jar and serve it to guests in the shepherd's hut in the breakfast basket I deliver to them. For that purpose, I make a quirky "Granola Pot" by using a kilner jar and filling it with a layer of fresh fruit and a layer of Greek yogurt topped with the delicious granola. Guests love it! So do we! 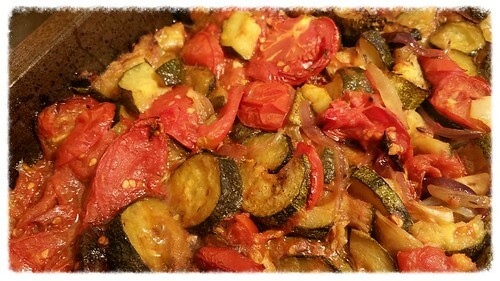 I sometimes make ratatouille on the hob but this recipe uses the oven. Roasting the vegetables in the oven, I find, makes the most flavoursome dish that I like serving with either plain boiled rice or as a topping for jacket potatoes. It also goes perfectly with fish. 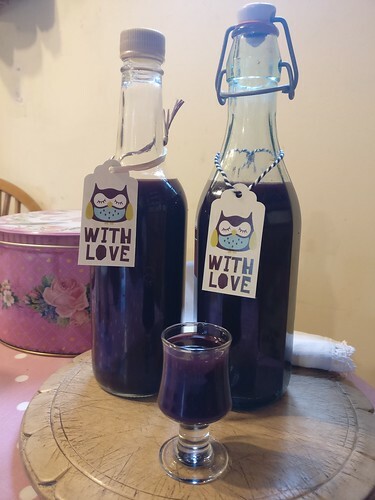 When the vegs are in season and abundant in the garden (I don't always use aubergines as I have not yet grown them successfully), I make batches of ratatouille which I bottle and story in the pantry for later. 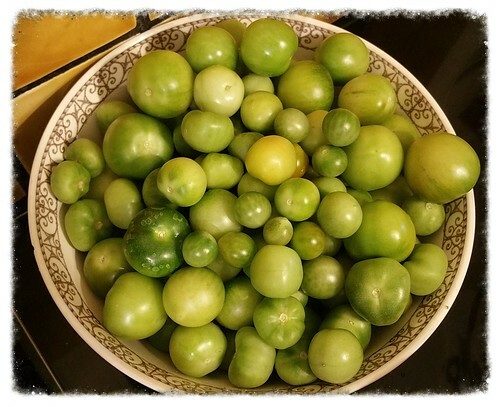 My mum used to make green tomato jam to use up unripe tomatoes at the end of the season. I find that adding ginger and vanilla makes this jam very tasty. It is particularly delicious with porridge and Greek yoghurt but also simply on bread and butter or toast.